Coffin Road was published in 2016 and it’s the first book by Peter May that I’ve read. It begins with a man being washed up on a beach, he has been injured, is bleeding and disorientated, close to hypothermia – and he has no idea who or where he is. He realises that he must live nearby though as a woman he meets recognises him, she calls him Mr Maclean and helps him to his nearby cottage where his dog is ecstatic to see him, he knows the dog’s name – Bran, but nothing else. He feels he has to hide his predicament hoping that his memory will come back to him, but it doesn’t. He has no idea why he has been living on the Isle of Harris, he’s certainly not writing a book as people think, and he suspects that his name isn’t even Neal Maclean, but why would he tell people it is? He turns detective and ends up in Edinburgh, thinking he has tracked down his family, but it’s a dead end. I don’t want to say too much more about this one for fear of ruining it for any possible readers. 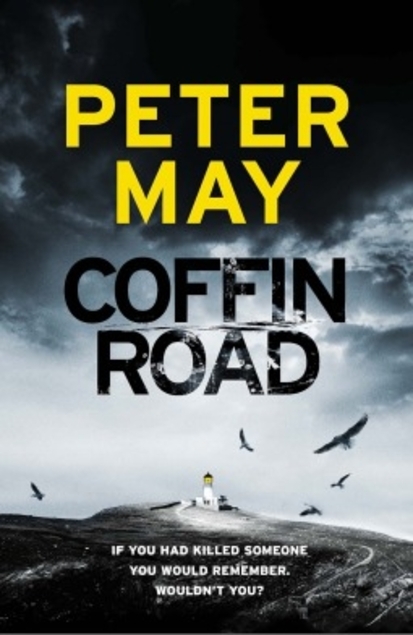 This book didn’t grab me quickly as some do, it’s hard to like a character when you know very little about them and what you do know doesn’t seem particularly endearing, but I did end up really enjoying Coffin Road and I’ll definitely be reading more by Peter May. I think I have quite a lot to catch up with.